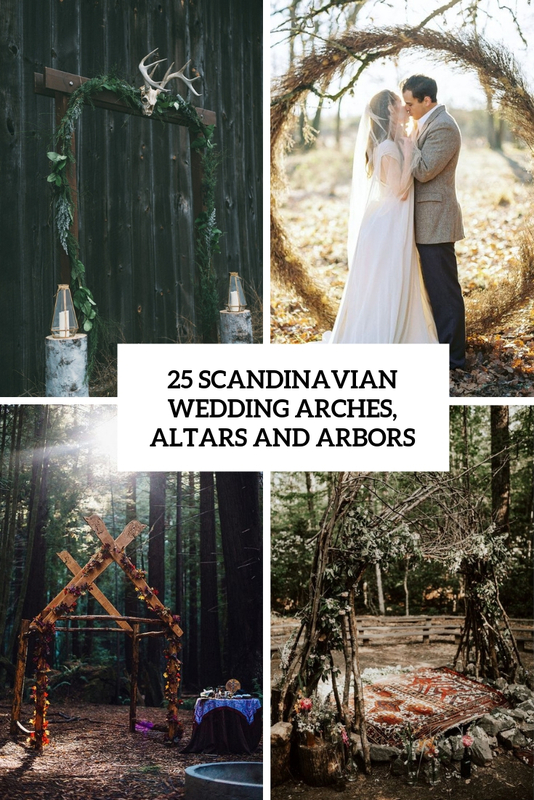 We continue sharing beautiful wedding ideas with Nordic influence, and today’s roundup is dedicated to Scandinavian wedding arches, altars and arbors of all kinds. 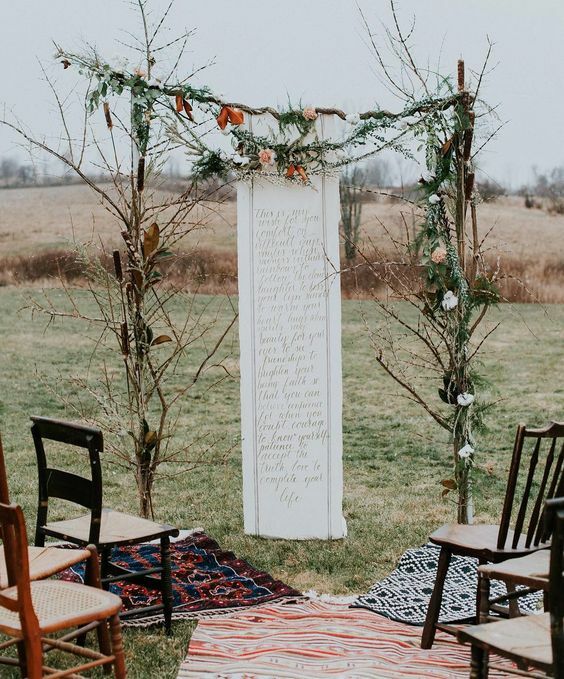 Of course, they are all different depending on the season, theme, colors and locations but there are some basic features that make them stand out. 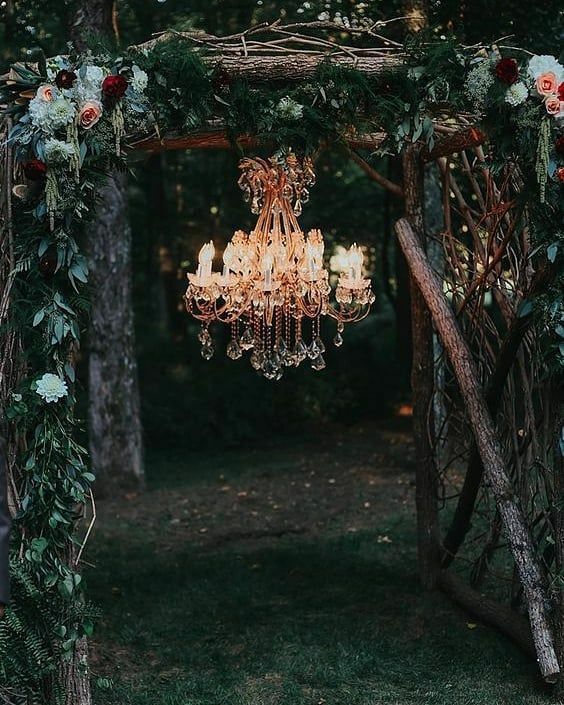 First of all, they are mostly simple and natural – no bold and super lush blooms here, mostly simple blooms (if any) and greenery. 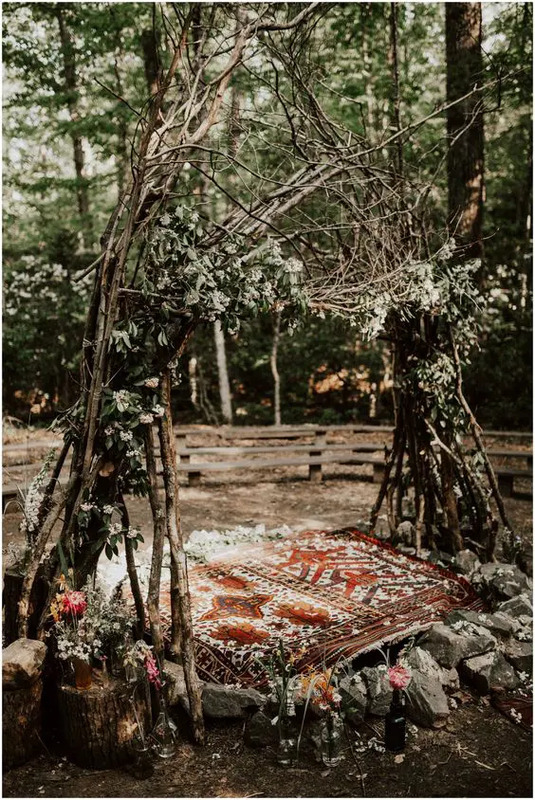 Many couples add woodland, boho and rustic touches to their arches despite of the theme they choose – it’s done to feel closer to nature. 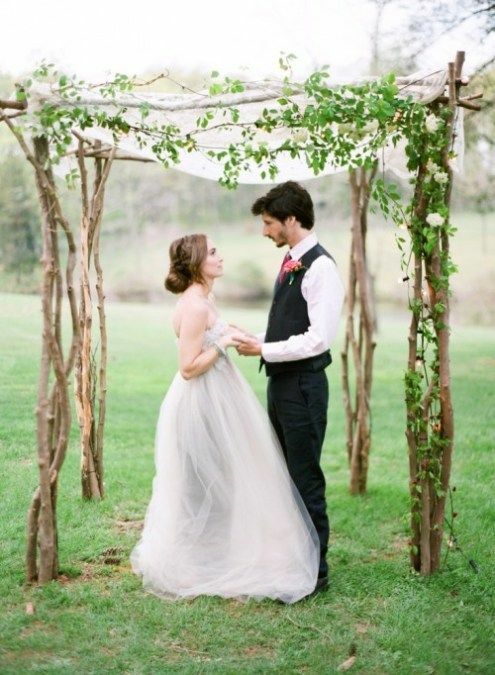 Ready to see some examples? 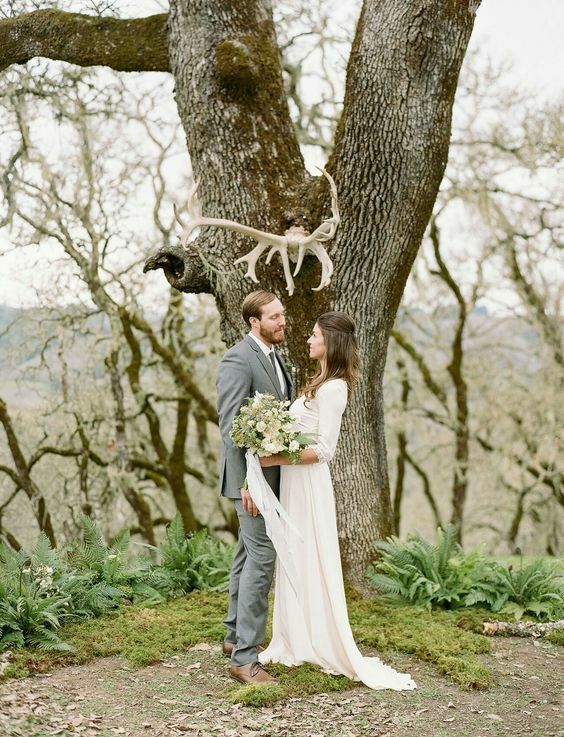 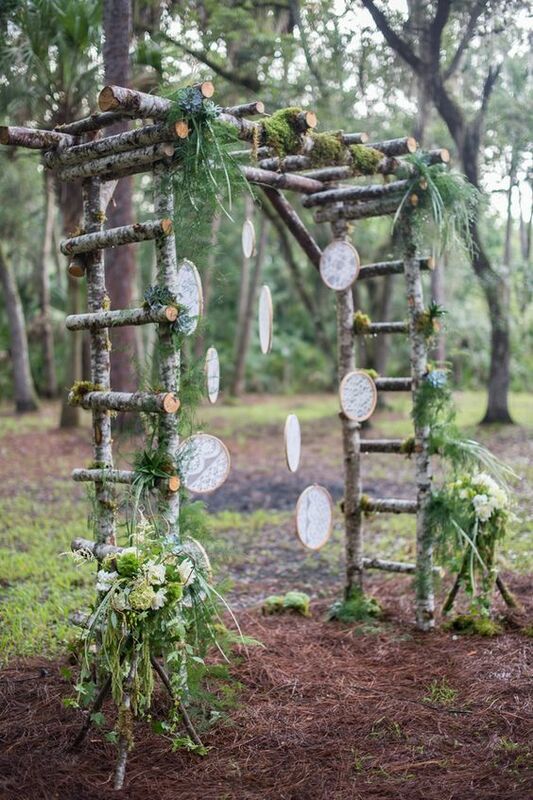 If you wanna a truly Nordic wedding arch, think natural, rustic, boho and woodland. 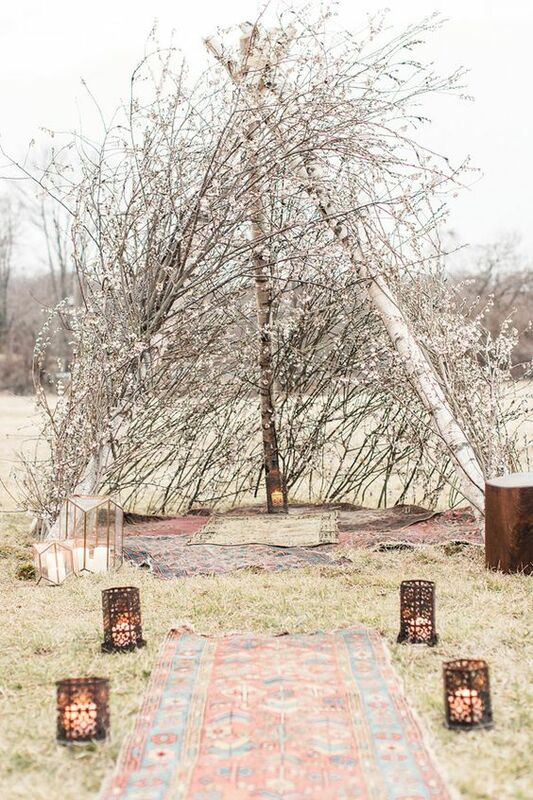 The concept of the arch or altar itself can be very different: it can be an arch, a semi-circular altar, a living tree decorated in various ways, two living trees and something hanging between them, a teepee and much more. 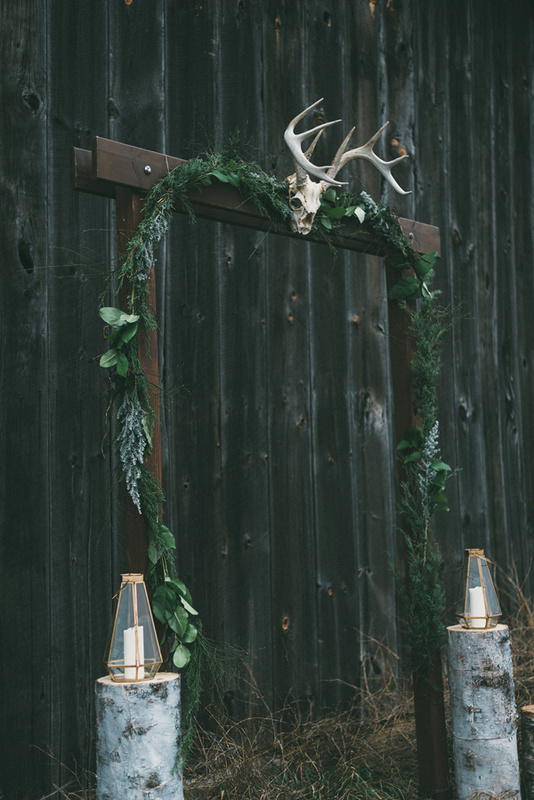 decorate your arch with airy fabric, some blooms, dried herbs, foliage, antlers and place some candle lanterns around – choose decor to embrace your season and theme. 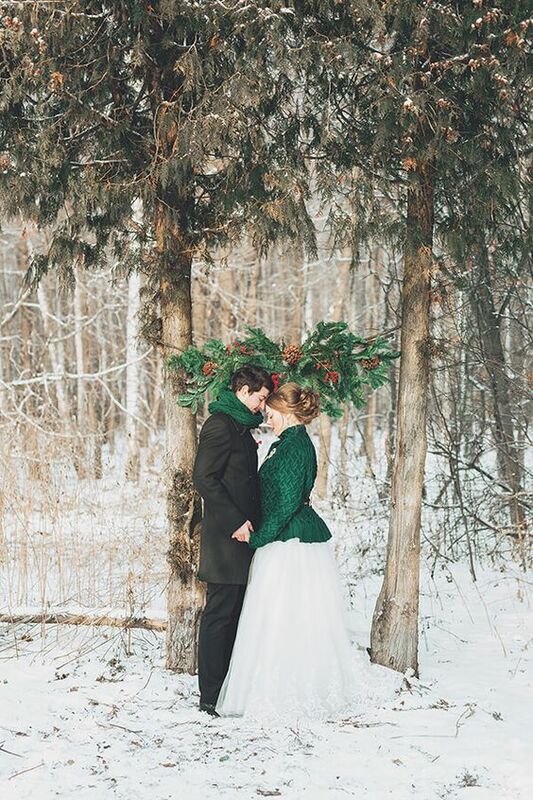 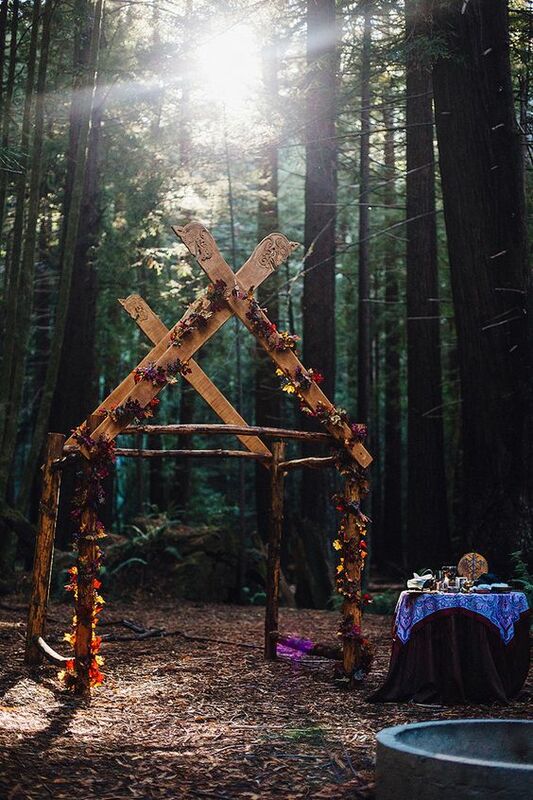 Getting married in the woods? 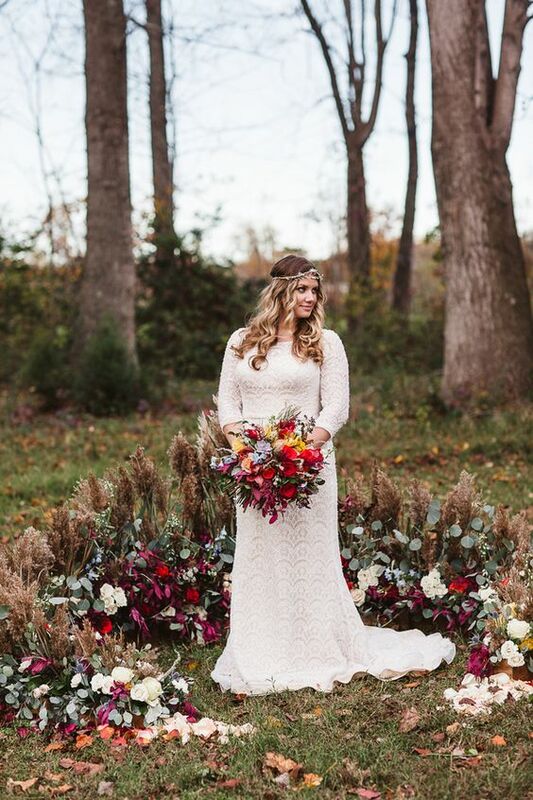 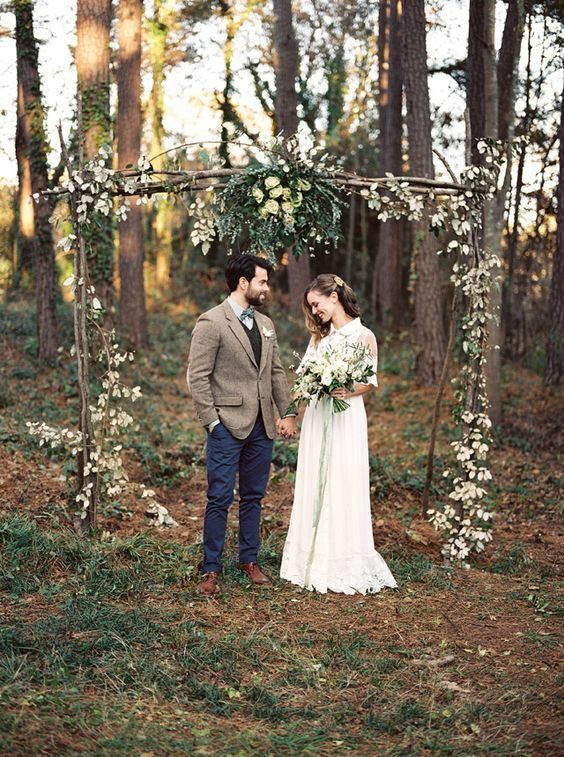 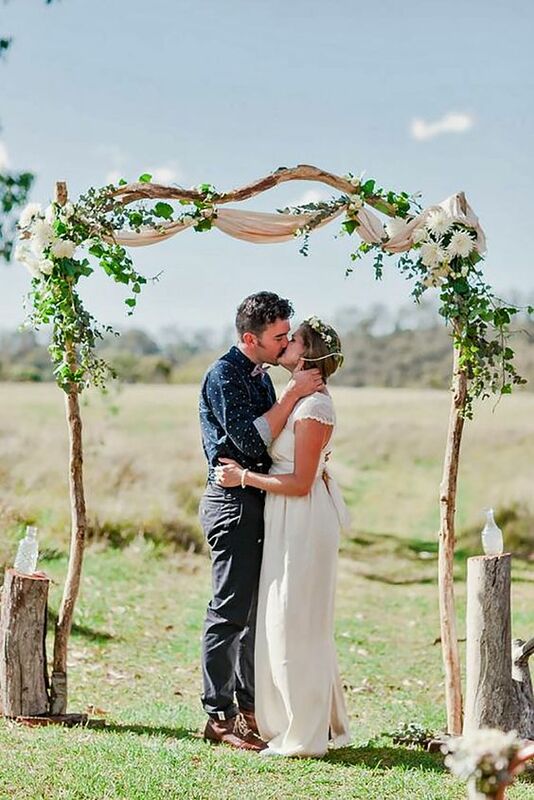 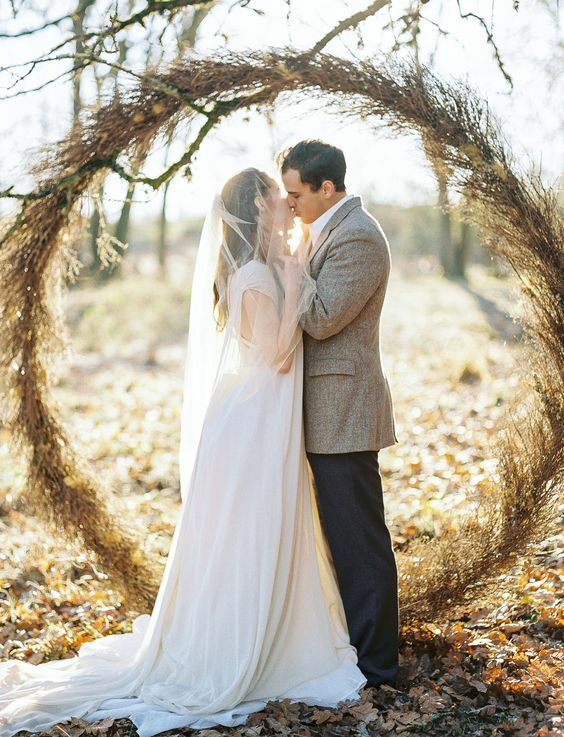 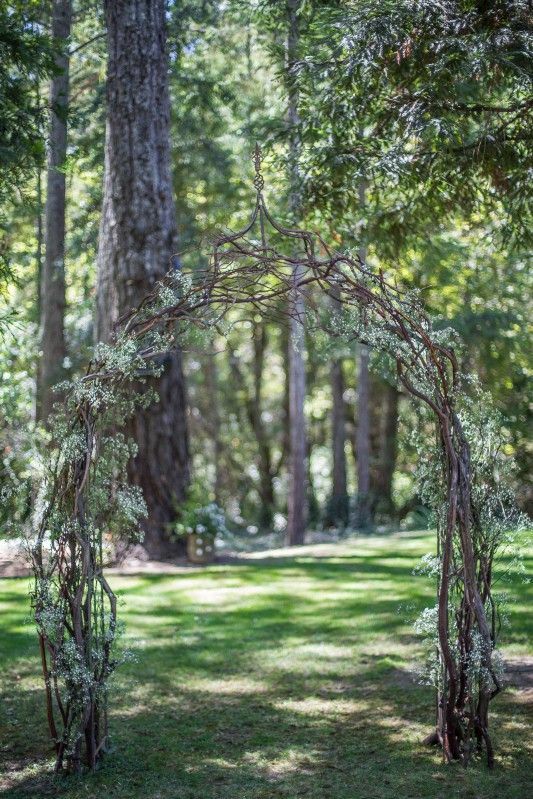 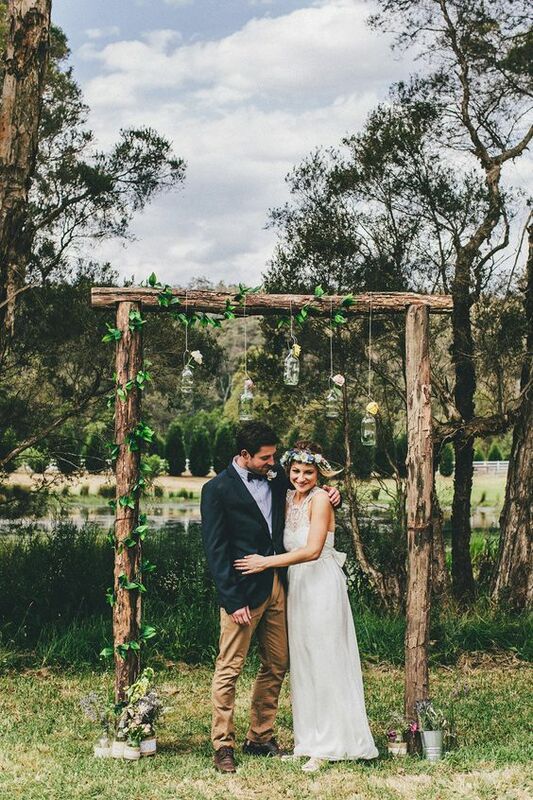 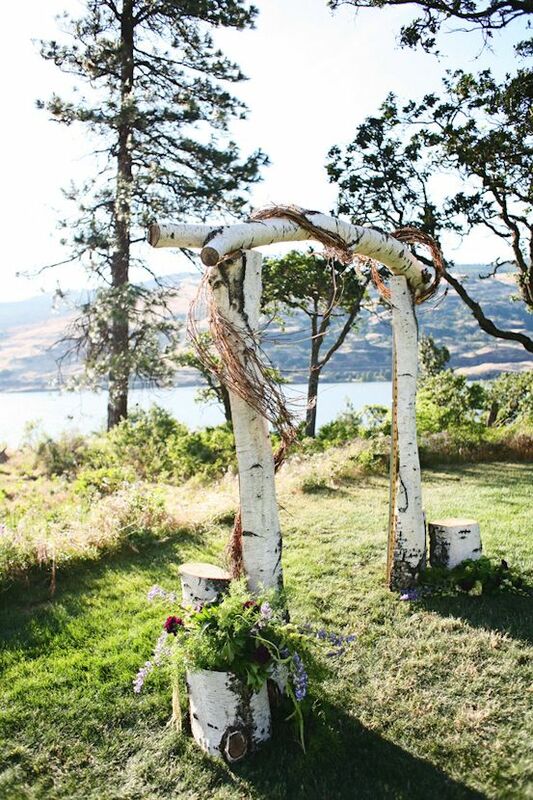 Go for an interwoven branch wedding arch with moss and foliage. 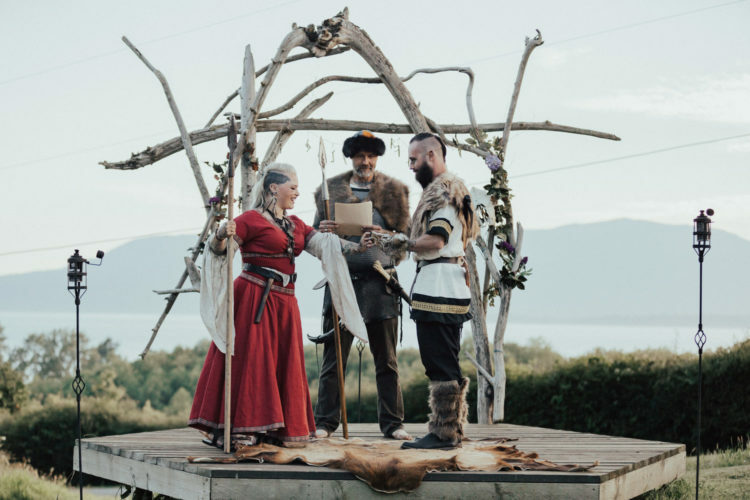 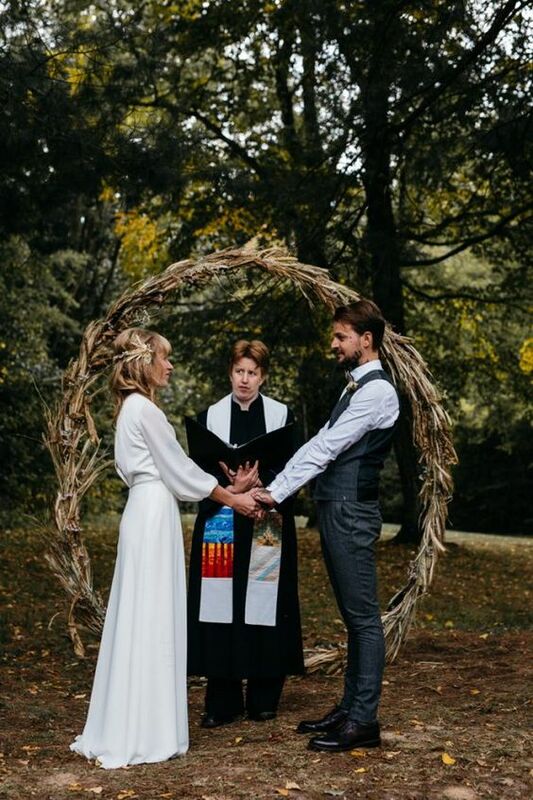 If you feel like something folksy, which is now rather popular in Scandinavian countries, try a pagan wedding altar with wildflowers or a driftwood one on a beach for a Viking-inspired ceremony. 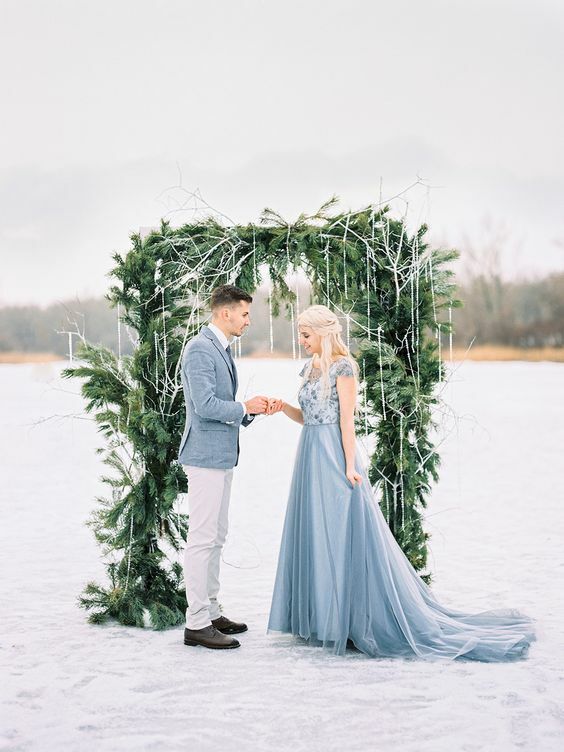 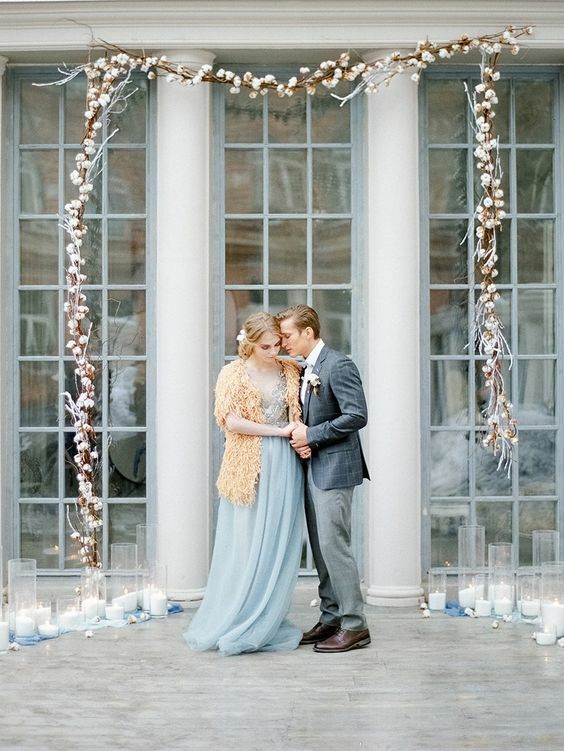 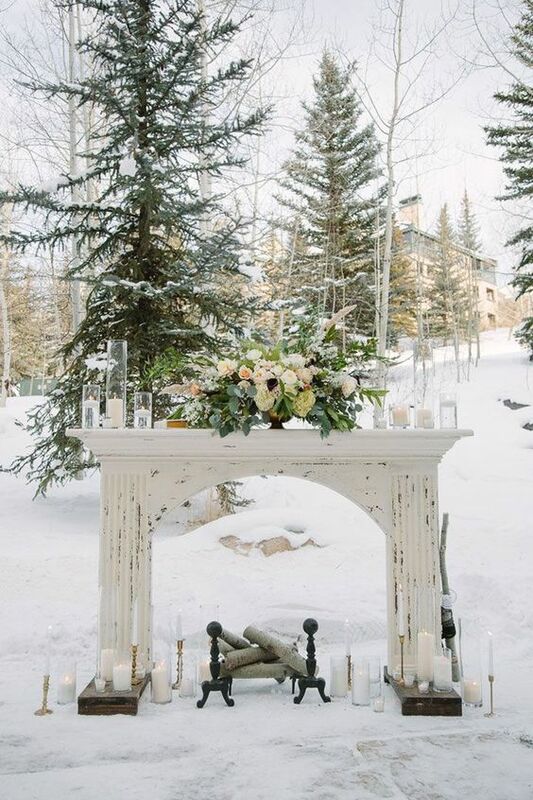 If you want something Nordic but not that harsh, try a mantel ceremony backdrop with firewood, candles and some blooms – looks very spectacular at a winter wedding. 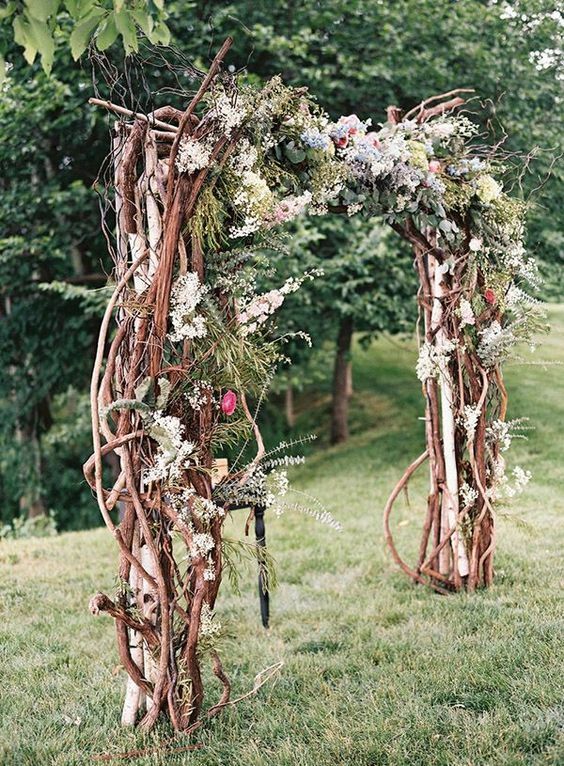 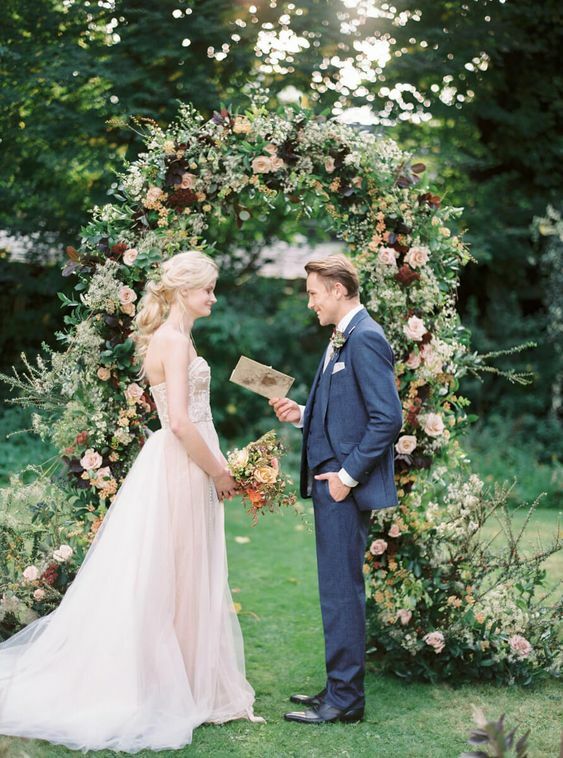 go for various floral arches, just don’t be too excessive with blooms or decadent, it’s not about Nordic weddings.